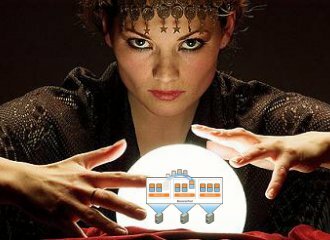 Home > Virtualization News > vCenter availability with SMP-FT? 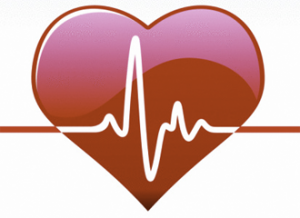 In june of 2014 VMware announced that vCenter Heartbeat would be discontinued. The product would not be available for purchase, support will remain until september 19 of 2018. VMware has chosen to readdress availability options to protect vCenter Server from outages based on internal availability solution offerings. With vSphere 6 the capabilities of FT have increased greatly. The name even changed into SMP-FT as it does now support up to 4 vCPU’s. Some might consider this the replacement for vCenter Heartbeat, but is it? With vCenter Heartbeat you where able to make your vCenter server highly available. This was done by cloning the vCenter server (this could be a V2V or a P2V) into a secundary virtual machine. Hearbeat would then be responsible to keep the secundary VM up-to-date with all the changes that would be made on the primary VM. A packet filter would make sure that the secondary VM isn’t visible on the network as long as the primary VM would operate normally. SMP-FT is the improved version of FT. An overview of the improvements that where made can be found in this article. What hasn’t changed in SMP-FT is the type of protection that it offers. Just like FT, SMP-FT still offers the ability to make VM’s higher available in case of host failures. When a host fails the secondary VM will be made available to the network immediately. Compared to HA, the service the VM with FT offers, will know almost no downtime. Both vCenter Heartbeat and SMP-FT offer protection against hardware failure of the vSphere hosts. But SMP-FT does not offer any protection against any of the other bulletpoints that were meintioned for vCenter Heartbeat. Also any errors / blue screens that will happen on the OS of the primary VM will also be replicated to the secondary VM using SMP-FT. 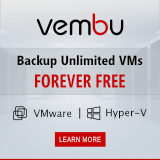 These faults will result in both VM’s being down for service. So if HA and SMP-FT can’t offer the availability of vCenter like vCenter Hearbeat can, and with vCenter Heartbeat not available anymore, what then happens with the virtual infrastructure in case vCenter is not available? When using VMware Horizon View users would still be able to connect to their desktops via the connection server (if they had a desktop assigned allready), but actions like powering up new desktops or composing will not be available. vRealize Operations Manager will not be able to collect information and actions like adding vCPU’s can’t be done. vRealize Automation Manager & Orchestration tasks won’t be able to run. HA will still be work, but you won’t be able to make changes to the settings without vCenter. Distributed vSwitches will still keep your VM’s connected to the network, but like HA you won’t be able to manage them. Now, this isn’t the end of the world. Not every company will need the same availability for vCenter server. And there is an alternative. The vCenter Heartbeat technology originally came from a company called Neverfail and they still exist. You can have your vCenter Heartbeat like you used to, more or less, by purchasing their IT Continuity Engine. vCenter is mentioned in their examples page as a VM you can protect with Neverfail. Bare in mind though, that VMware does not support third party high availability technologies if anything goes wrong with your vCenter. Personally, I think it’s a shame that you can’t protect the vCenter service like you used to with vCenter Heartbeat without releasing a proper alternative. For reference, VMware released a “VMware vCenter Server 5.5 Availability Guide” document, which gives you an insight in how they define high availability and recommendations on how to protect your vCenter service.